Barbara Papigioti and Fotis Gerasopoulos.Their goal was and continues to be the creation of a complete educational center established to benefit the community; many programs were started and a book collection from both Greece and the United States was instrumental in the creation of the first Greek-American library in New York. Over 5,000 books have been collected and some have been donated to schools and public libraries throughout the United States. 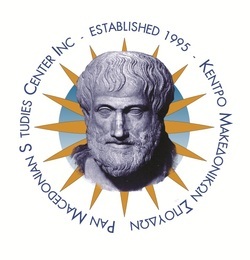 The Pan-Macedonian Studies Center, Inc. is currently creating book clubs and is planning on collaborating with Higher Educational Centers, as they have done in the past, making rare books from their collection which were made available from donors, obtainable to students to assist them with their studies and research projects. For the past 15 years, the Pan-Macedonian Studies Center, Inc. has aired a weekly television program titled "Macedonian TV of USA" in both Queens and Nassau County. The Pan Macedonian Studies Center continues to offer programs and fairs at no cost to the public in many categories such as tutoring, dance lessons, health fairs and computer lessons. The Center is run by volunteers, both young and old. IF YOU WOULD LIKE TO BE ADDED TO OUR MAILING LIST FOR LIBRARY NEWS (ONLY) PLEASE SEND US A NOTE IN THE CONTACT US PAGE. THANK YOU.